1 D.S. Quinio Famous Sayings, Quotes and Quotation. 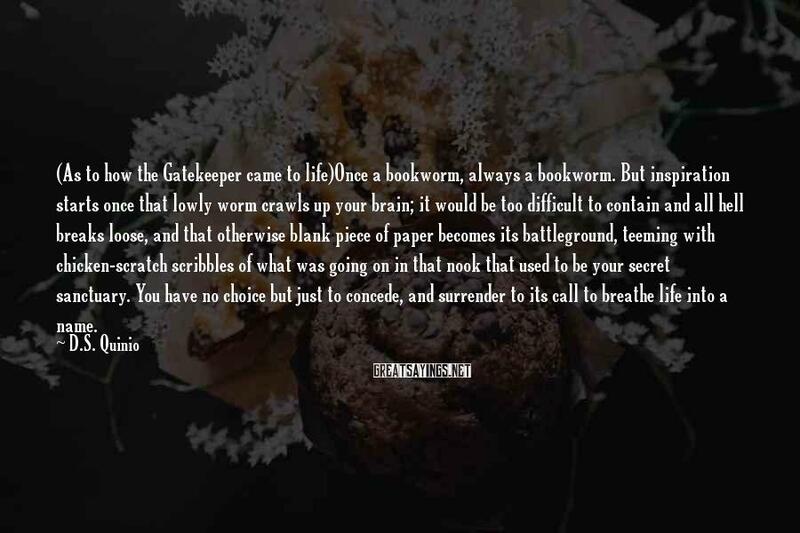 Once a bookworm, always a bookworm. But inspiration starts once that lowly worm crawls up your brain; it would be too difficult to contain and all hell breaks loose, and that otherwise blank piece of paper becomes its battleground, teeming with chicken-scratch scribbles of what was going on in that nook that used to be your secret sanctuary. You have no choice but just to concede, and surrender to its call to breathe life into a name.